None of the rooms at this small family-run hotel have views worth talking about, but the rooms are good quality and the location convenient. 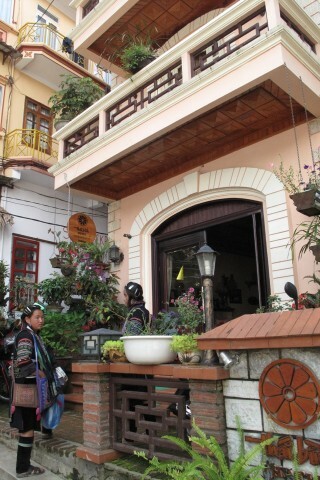 De-humidifiers are a great idea in damp Sapa, but only few hotels, such as this one, have them. Rooms here are also equipped with heaters, a small fireplace in the corner and a fan -- covering all weather possibilities. Choose between twin or double beds, and you’ll also find a desk and kettle. Bathrooms are excellent, fitted out with modern sanitaryware, including a shower cubicle with decent shower. Ham Rong Street runs behind the church; stand facing the church and take the road to the left. The Trade Union Hotel is at the end, turn left there and Thai Binh Hotel is up a few steps, on the right.